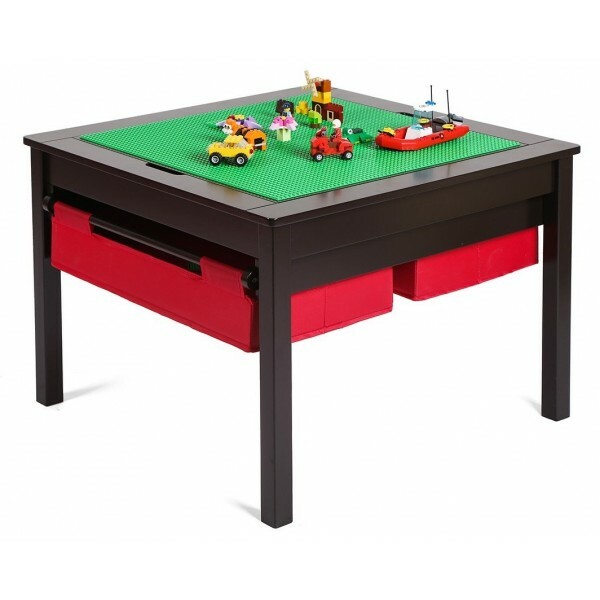 Be ready to play at a moment's notice with this multi-activity play table from UTEX. 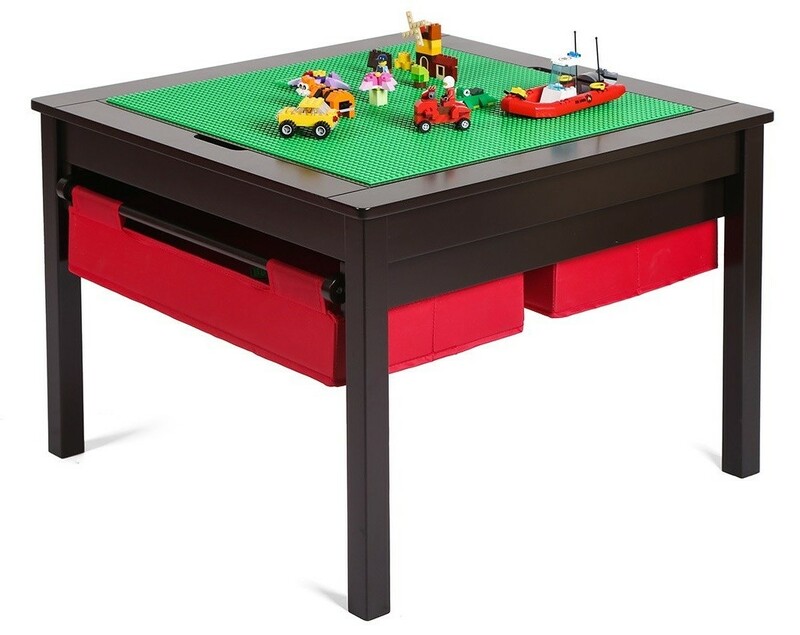 This 21" high table is just the right size for toddlers and preschoolers, and the 25.6" square table top provides enough room for all sorts of games without being hard to little arms to reach to the middle. The central panel in the top is reversible: on one side you have a flat surface, while on the other, you have a baseplate compatible with most large and small building blocks. Plus, two large drawers provide plenty of storage space for bits and pieces! For more kid-sized furniture, visit our Furniture Collection.